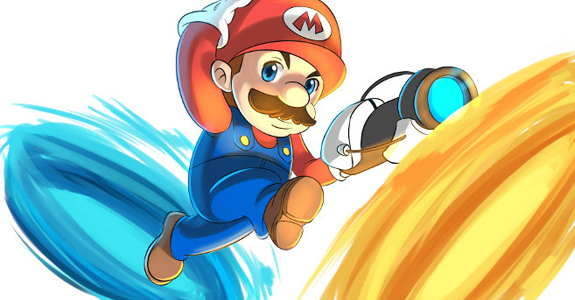 The 404 box: You got your Portal in my Mario! What's better than playing classic NES mario or Valve's Portal? How about mashing them together into one wicked sick game called Mari0? Thanks to those behind Stabyourself.net this is now a reality. For Windows, Mac OS or Linux.